Anyone who has to go to the hospital for treatment will already not be in the best of spirits. The situation is even more unsettling for small children or the elderly, who, overwhelmed with pain and medical procedures, just need to get well. After all, how is someone in a mask supposed to read a comforting story to a small child? And how is an enfeebled patient supposed to grasp what the masked individual plans on doing with the needle in his hand? It would be easier to deal with patients if the lips and facial expressions were visible through the mask. With this in mind, researchers from Empa in St. Gallen and EPFL's EssentialTech program are currently developing the Hello Mask with an integrated transparent filter film. "A conventional face mask is composed of several layers of relatively thick fibers," says Empa researcher Giuseppino Fortunato. And although the individual fibers of the white or green masks might well be see-through, their diameter and processing cause the incident light to scatter to such an extent that the mask turns opaque. The woven fibers of the Hello Mask, on the other hand, should leave a transparent surface that offers an unobstructed view of the lips, also enabling the wearer to communicate non-verbally with the patient via facial expressions. For the see-through film to also filter out pathogens from the wearer's breath, however, it may only contain very tiny pores. This protects patients with a weakened immune system against infections, for instance. 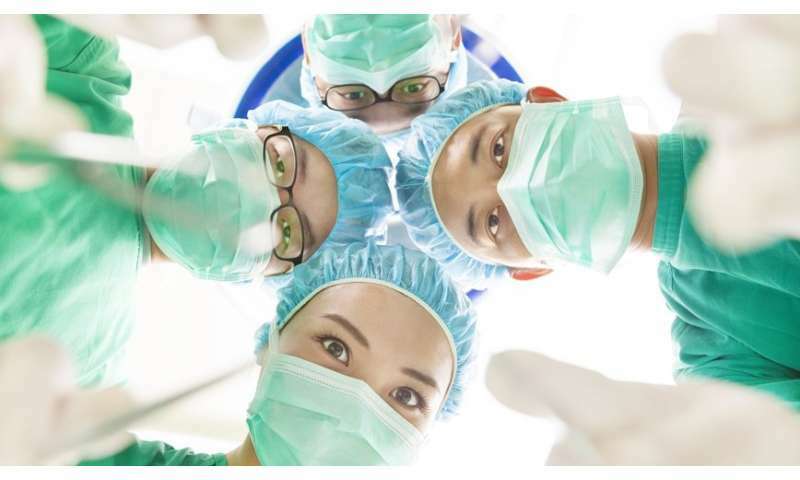 By the same token, the mask should also keep out germs: Nursing staff and the loved ones of people suffering from highly contagious diseases like Ebola covet a more humane contact with the patients, without jeopardizing their own health. The Hello Mask should bring more humanity to how highly contagious diseases are handled. 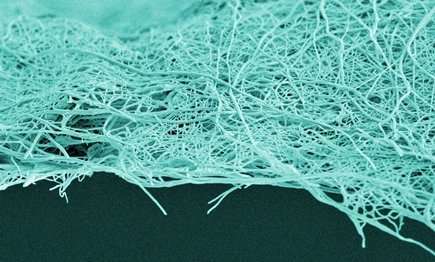 "Using a technique referred to as electrospinning, we can produce such fine membranes with a pore size of around 100 nanometers," explains Fortunato. The challenge in producing one of these masks, however, is to enable sufficient air to flow through the close-meshed material of the mask. The materials researchers are currently analyzing which kinds of polymer fibers can be used to produce a film with maximum respiratory activity.